1950s – Neurofeedback was first discovered in the late 1950s when Dr. Joe Kamiya, discovered people could learn to alter their brain activity through a reward system while studying consciousness. 1960s – Dr. Barry Sterman discovered that cats who previously went through SMR brain training were immune to the effects of toxic fumes emitted from lunar lander fuel. 1980s – Neurofeedback began being used to treat attention deficit disorders. 1990s- Neurofeedback was used to treat a broad spectrum of conditions, such as anxiety, depression, insomnia, autism, PTSD, and more. Today – Neurofeedback is widely accepted and used to treat a variety of physical and mental health problems. With the advancement in research and technology, neurofeedback specialists are able to measure the electrical activity of the brain in order to evaluate and pinpoint which frequencies in the brain are functioning abnormally and use neurofeedback to retrain the brain to function more proficiently. Neurofeedback is a a reward-based system that retrains your brain to function more efficiently. Neurofeedback specialists can pinpoint the exact frequencies in your brain that are not functioning correctly with qEEG brain mapping and target these specific areas during treatment. Neurofeedback specialists will place electrodes on the correlating areas on your scalp and monitor and measure your brain’s electrical activity while you play different games and react to stimulus. When your brain responds as desired, you will be rewarded. Over time, your brain will create new pathways and will begin to function as it is supposed to. In turn, you will notice improvement in unwanted symptoms, such as anxiety, ADHD, ASD, depression, trauma, migraines and headaches, stress, and more. Through qEEG brain mapping, neurofeedback specialists are able to target the exact brain frequencies that are not functioning properly. 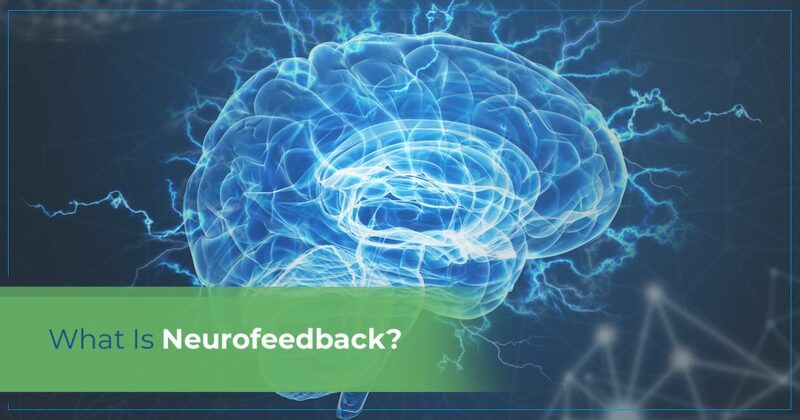 You can think of neurofeedback as an individual training program that specifically works with the frequencies in your brain that are overreacting or not not responding correctly. When your brainwave activity meets the desirable outcome, your brain will be rewarded. This in turn will create new brainwave activity and pathways which will ultimately lead to more desirable brain performance. Are you interested in neurofeedback near Denver? Contact us today to schedule an appointment. We look forward to helping you optimize your brain.